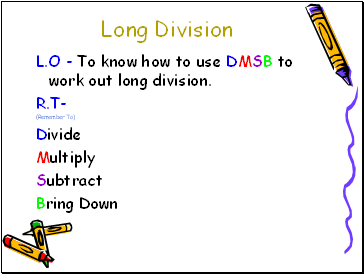 L.O - To know how to use DMSB to work out long division. 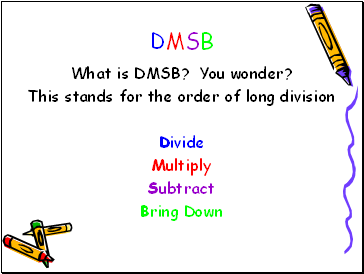 What is DMSB? You wonder? Looks scary, huh? Well, when you use DMSB It can be simple. Move to the next slide to get started! This is the dividend. 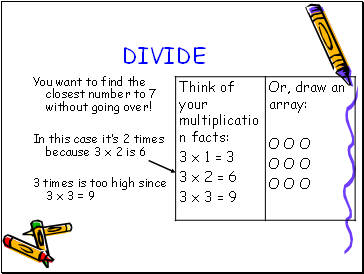 The dividend is the number we break into groups. 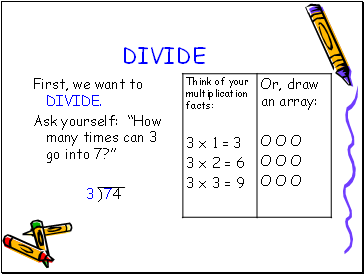 This is the divisor. 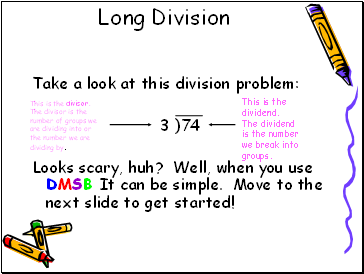 The divisor is the number of groups we are dividing into or the number we are dividing by. First, we want to DIVIDE. You want to find the closest number to 7 without going over! Now, place your 2 above the 7, because 3 goes into 7 two times. 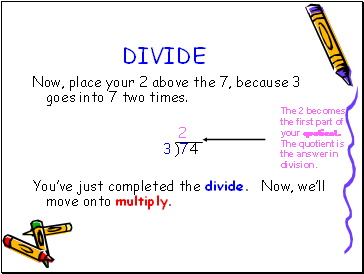 You’ve just completed the divide. 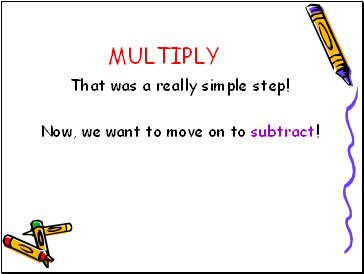 Now, we’ll move onto multiply. The 2 becomes the first part of your quotient. 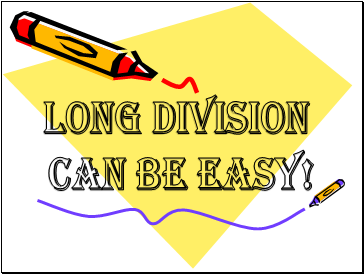 The quotient is the answer in division. 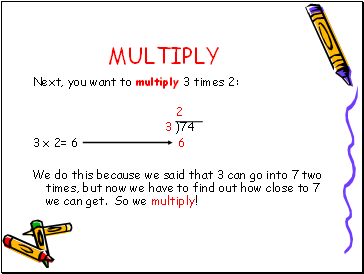 We do this because we said that 3 can go into 7 two times, but now we have to find out how close to 7 we can get. So we multiply! That was a really simple step! 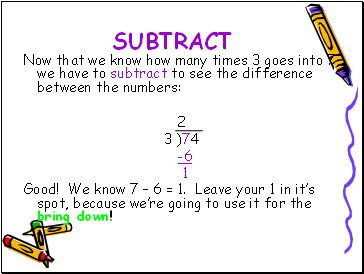 Now, we want to move on to subtract! Good! We know 7 – 6 = 1. 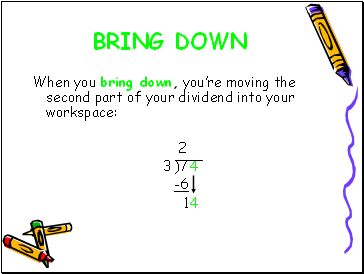 Leave your 1 in it’s spot, because we’re going to use it for the bring down!